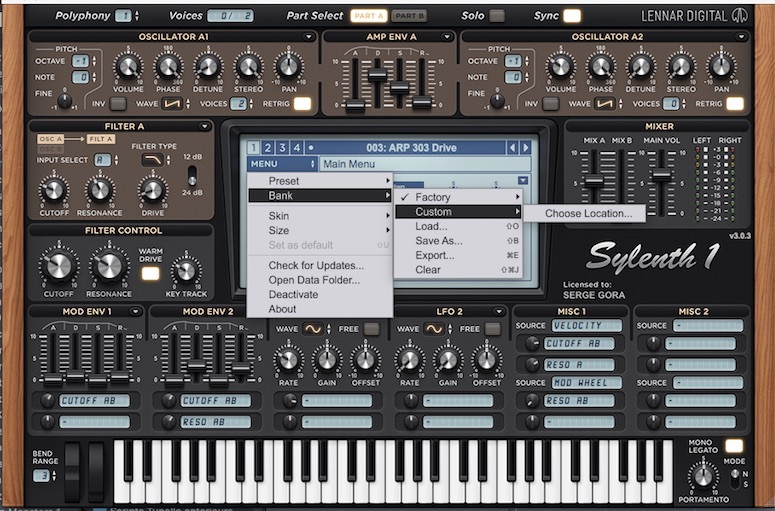 Sylenth 1, Virtual subtractive synth from LennarDigital. Product replaced by the LennarDigital Sylenth 3. No compatibility issues found while using this synth called Sylenth1. The manual provided by Lennar Digital is very easy to understand , great positioning of the information , great book. The general setup is very simple , nothing really complex , it usually takes about 5 minutes. The typical functions are easy to spot , well designed , great guide provided with the soft. The software works very good in this configuration. The software is stable and I haven't encountered any distortion while working with it. I'm getting a lot of great results while using Sylenth1 from Sonic Academy in designing my own sounds , starting from bass and ending with bells. I've been using sylenth1 for a couple of years now. Sylenth1 From Lennar Digital is a 4 oscillators synth analog based. What I like most about it is the fat sound that can be combined from 32 voices played by these 4 osc , the build in effects like arp , the adjustable chorus depth rate and feedback , a great reverb , a very powerful eq and delay. I also do like that friendly interface that is easy to understand even for an amateur , another great tool is the sync with the tempo of your working station , the distortion tool is also capable of taking your musical elements on a whole new level. My opinion about the value for the price is great , this is a pretty cheap product from an objective point of view , this synth is used so much in our music industry , it's crazy if you've never worked with it. 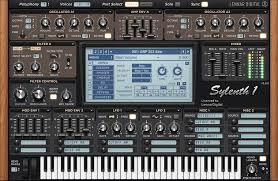 I've tried many synth models before and after sylenth1 , but still I'm using this synth almost in every song that I make , extremely useful synth that can be used in any musical genre. Knowing what I know , I would buy this program again and again. There weren't any kind of compatibility issues , the program works on any platform existent either Windows XP, Windows Seven or MAC OS. The book provided with the program was very good , you could get a wide understanding of the program itself within minutes or hours depending on your musical experience. General configuration and setup is very easy and fast , it doesn't require any advanced installation or setup. The software works very good , I didn't had any crash while using this program for over 2 years. The functions and the performances are very nice , I do enjoy the fact that this isn't just a samples based plugin , in here you can create your own sounds and put your own twist on songs. I've been using this product for about 2 years in a lot of electronic and pop composition. What I like most about this product is how easy you can create your own electronic sounds , either if that involves pads , bells , bass or any other musical element. This product may be learned quite fast , and in just a couple of days you can create your own unique sounds. I do like as well the banks and preset provided with the program , Sonic Academy did a really good job while thinking this product and making it as useful as it is. There is a great multi effects windows , so that way you can tweak with the desired effect in sylenth1 without wasting a lot of cpu resources. My opinion about the value for the price is wow , this product is quite cheap concerning that it creates such amazing features and options to either work with an existing library or make your own , and even better , this product doesn't require a powerful machine to run on. 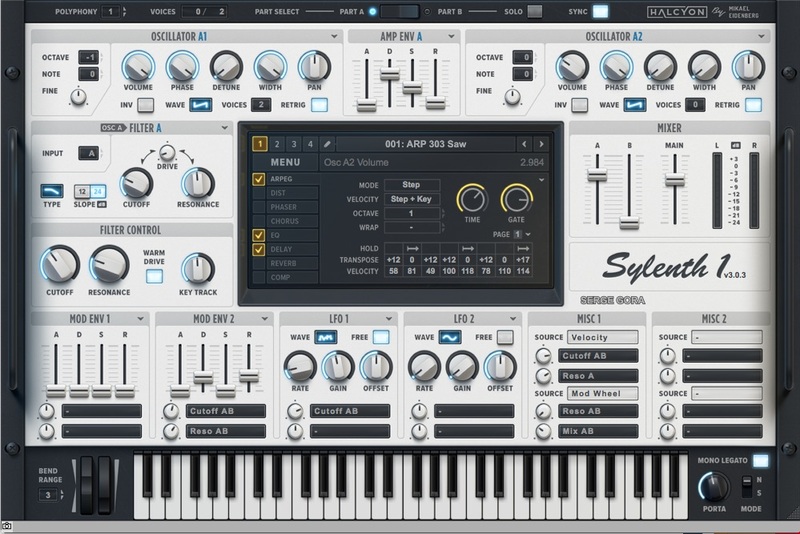 Sylenth1 is a virtual vst synth that combines the nice quality of an analog sound with a more contemporary electronic sound. There are plenty of sound synths but there is something completely unique about sylenth1 , beside the general configuration that is really simple and functions that are easy to follow to get a nice deep sound. The software works great, it's always stable, it provides me with the sounds in my head that I'm trying to create, even if I've been using it for a while, when I'm making a whole new track either way I'm using sylenth1 to create something more original and unique. What i like most about sylenth1 is the design and how all the oscillators work together, it has 4 osc build-in, and you can insert 8 voices to them. About the balance between price/quality all i can see it deserves even more than it's price, it really does, you have a lot of build-in fx to play with like: eq, compressor, delay, reverb, phaser and a whole of other great features provided with this complex and yet amazingly easy to use synth. The precision and quality of the sounds are 10/10, one of the best synths on the market. There are plenty of complicated synths that cost a lot, but don't let them fool you, sylenth1 will get the job done even if it's not the most expensive synth out there. 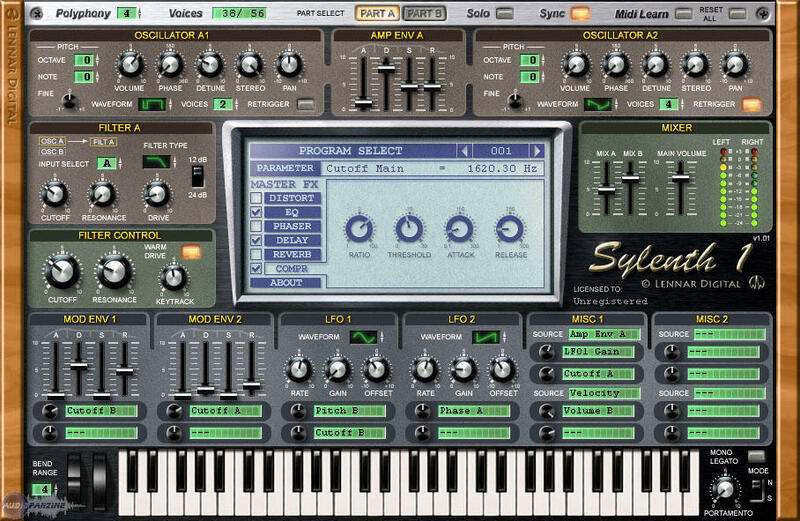 You can easily combine the nice sounds provided by sylenth1 with an epic piano to get some emotional electronic music, also you can practically build anything with all the possibilities provided by lennar digital. All I can say is that I would go again with the lennar digital hand if I would want to get a nice synth, with a great design, not very exepensive but still that provided a hq sound, a lot of great producers nowadays use sylenth1 to make their own sounds, Armin does it, Airbase does it, so use it wisely and create something really massive for the whole world to be shocked. 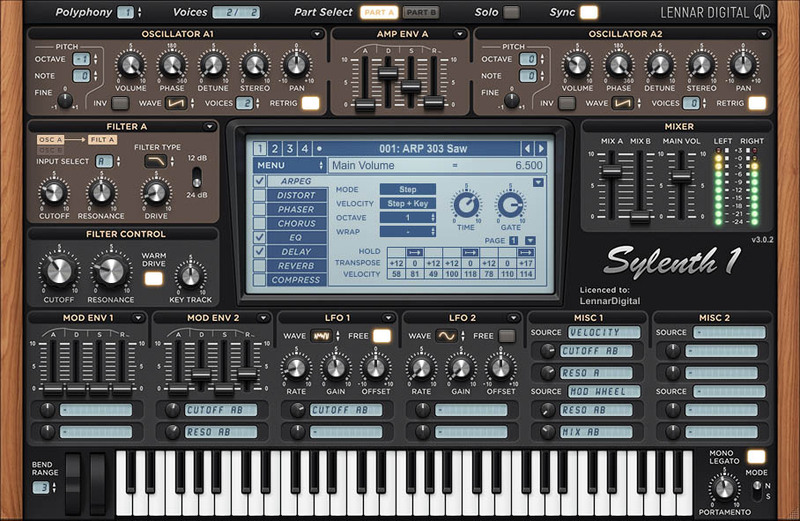 AlanForPresident's review"good editing abilities "
Sylenth 1 was a vst that I was using for a while until I purchased a few other. But during the time while I was using it I was in love wit it. There are just so many options you have when using Sylenth and manpulation the sounds or editing them to the way you want them. The possibilities are really endless with this vst plug. It was easy to install and set up and use, no manual was needed and im not sure if there is actually one that comes with it or not because I didn’t have one I don’t think. Sylenth worked great on my quad core pc and my laptop. It never crashed or froze. I only used in in Fl Studio so im not sure how it would work in any other DAW or midi sequencing program that’s out. I am curious to know if they have come out with another or newer version of it though? Overall, the sounds are really good. A lot of synths and spacey type of sounds that you can use in your mix and with a lot of different effects available right in Sylenth you will be able to get creative and start making sounds that no one else has, which is real important to me because in todays music everyone is using the same plug ins and the same keyboards so its good to have a vst that you can really make things sound “different” in or even use it to create your “own” signature sound that you will be remembered by. 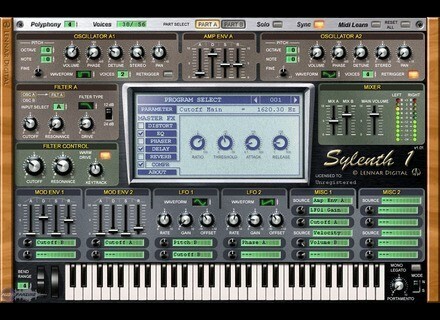 For the price (which isn’t bad at all) Sylenth is one of the best in that range. I have heard hit songs on the radio that have used the basic presets that come with Sylenth, so you know that its top quality. But at this point everyone has it, so its time for them to come out with a newer one or more presets to build off of. Lennardigital has just released version 2.2. of this softsynth.